"OSHA doesn't apply to me because I have less than 10 employees." "OSHA doesn't apply to dentists or doctors." "OSHA will never inspect my office." "I live in a state with a state-run OSHA plan, so it doesn't apply to me." These are just a few of the myths I hear every week from dentists all over the U.S. I can tell you that every one of these statements is indeed incorrect. OSHA applies to you if you have one or more employees. OSHA most certainly does apply to dentists. In fact, there are certain regulations within the OSHA Standards that apply directly to dentists and doctors. Not knowing the standards and regulations can cost you. Following the rules takes some time, but is doable by every employer (it has to be). I would like to take a moment just to point out that 23 states have state-run OSHA plans, meaning that the state and federal requirements both apply to businesses in those states. In some of those states, the rules are totally different than the federal OSHA plan. Be sure to check with a professional before making an assumption if you are in one of those 23 states. Many dentists don't know exactly how or why an OSHA Compliance officer shows up at their door. There are a handful of reasons that this can happen. First and foremost are imminent danger cases. This is very rare in a dental office, but it is something that could happen. Imminent danger means that there is a high likelihood that someone is going to get injured or killed. Second are cases where there has been a catastrophe or death. The third thing that will trigger an OSHA inspection (and the most common in dental offices by far) is by complaint or referral. An employee, current or former, calls in a complaint. Depending on a number of circumstances including inspection history, if any, and the gravity of the complaint, an inspection can be triggered by this one phone call. A referral means that an outside agency is calling OSHA to let them know something has or may happen in your office. Often times this may be a fire department, police department, emergency room doctor, code enforcement officer, etc. The fourth reason for an OSHA inspection are programmed inspections. A programmed inspection means that either the Department of Labor computer system, the area director or the compliance officer randomly selected you for inspection. This does not mean you did anything wrong, it was just simply your turn. The fifth and final reason for an OSHA inspection would be a follow-up visit to ensure you have abated any violations found in previous inspections. Please remember, you will never know that an inspection is coming. They are, by nature, meant to be surprise visits. There are very few and extreme circumstances in which an employer will be made aware that an inspector is coming. If you were previously inspected and given 60 days to abate any violations, you can be sure that shortly thereafter, an inspector will be walking in the door for a follow up visit. OSHA states that it is the responsibility of the employer to know the rules and requirements that OSHA places on them. "I don't know" is never an acceptable answer or reason for a violation. It is federal law that if you employ one or more people, you must be familiar with these requirements. So what exactly will OSHA be looking for? Well, the OSHA 1910 Standard is a huge thick book about 877 pages long. The Standard can also be found on www.osha.gov in a much more convenient manner. There are a few standards that are cited more often in dental offices than any others. Please be aware, this is not an all-inclusive list, but is the top six violations found in dental offices all over the Unites States by compliance officers. According to the OSHA Standards, if you have 10 employees or more, all of your plans have to be in writing. If you have less than 10 employees you may communicate them verbally. However, I always recommend that you write all of your plans. It aids in the training process and in proving that you do have the plans and have communicated them effectively to your staff. The HAZCOM plan is the only exception. HAZCOM plans must be written regardless of the number of employees you have. Understanding what needs to be in each plan and keeping them updated are the most difficult parts of the entire process. Many things are common sense. Others are a bit more targeted, but you must know them regardless. The plans must be updated annually and must be site specific to your office. Many pre-written or Internet purchased plans do not include the site-specific information you need. 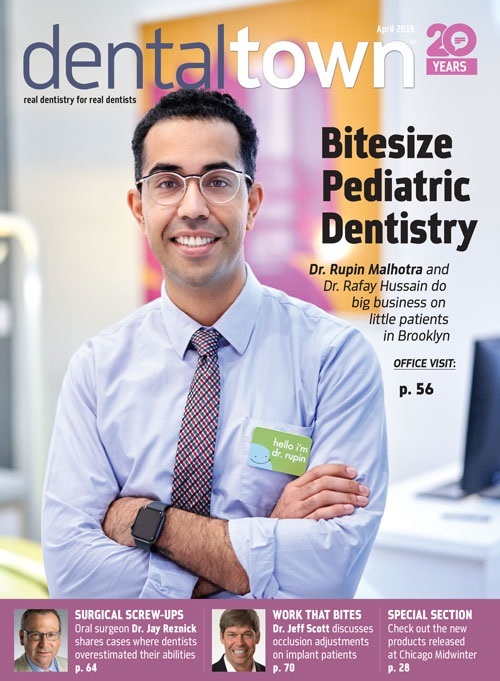 Most dentists think that if they buy that $500 binder from their supplier and put it in the filing cabinet or on the shelf, they are now OSHA compliant. That couldn't be further from the truth. Not only does each plan require loads of site-specific information, but the most important part of any OSHA plan is the training that you do annually with your entire staff, as well as training new team members within 14 days of hire. If you buy that pre-written binder, stick it on your shelf and call it a day, you are willfully ignoring the standards you know apply to you. No compliance officer is going to look favorably on that, nor should your staff. Take the time, do it right and make sure every member of your staff knows the systems that you have in place to protect them. Remember, it is the responsibility of the employer to be aware of the rules, regulations and OSHA standards that apply to them. There are standards that dentists are excluded from, such as record keeping on the OSHA 300 accident and injury log. As dental offices, you don't have to maintain an OSHA 300 log. Dental offices are exempted by SIC code, which means by the nature of the business, you don't have to keep that record. This does not mean you don't have to notify OSHA of a reportable instance. OSHA states that they must be notified within eight hours of a workplace fatality or three-or-more-person injury. It doesn't matter the reason for the fatality or injuries. If someone has a medical emergency (i.e., heart attack, stroke) and dies in the workplace, OSHA must be notified. If three or more people are injured during the same instance (i.e., stair case or roof collapse, car drives through the front of the office) OSHA must be notified. You have eight hours from the time of the injury or death to notify them. Many employers mistakenly believe that it is only work- related injuries or deaths that must be reported, but that is not the case. If it happens to an employee in the workplace it must be reported regardless of what was happening at the time of injury. 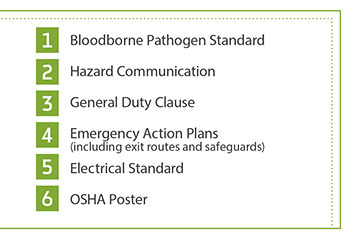 So what do you really need to do in order to be OSHA compliant in your office? Write your plans and train your staff. Make sure that each plan is written with your site in mind. If you have more than one office, a lot of the information will be the same, but make sure that you have site-specific elements in each plan. Your bloodborne pathogen plan should include the location of each sharps and biohazard container along with the type and size. It should also include a schedule for checking fill levels of those containers as well as who will be responsible for checking those levels. Your accidental stick prevention plan should be updated annually with two or three different items or methods that your office has tried to prevent accidental sticks, whether it is a mechanical device, a new one-handed technique or a new type of puncture resistant glove. Try those things, document that you tried them and also why you are or are not implementing that as one of your new methods. Your emergency action plan (EAP) should be in writing if you meet one or two of the following: 1) You have fire extinguishers in your office, or 2) You expect employees to evacuate the office in case of an emergency, like a fire, explosion, gas leak, etc. This plan should never be a store bought, off-the-shelf plan. How is it possible that the person writing that generic plan knows where your emergency exits are? Does that plan explain the exit routes from each operatory to the closest emergency exit? Are you in an office building on the 45th floor or are you in a free-standing building with three or four different exits? All of these things are required to be in your EAP. Are any of your exits or areas leading to the exits blocked with supplies, shelves or other things? If so, is that door marked as "Not an Exit"? If you haven't already, you must train your entire staff on the new HAZCOM Globally Harmonized System of Classification and Labeling of Chemicals (GHS) immediately. The deadline was last December, but if you still haven't done it you should do it right away. There is always time. Better late than never. It ain't over 'til it's over. You get the idea. You also want to make sure you have your SDS sheets (formerly MSDS) in a binder for all chemicals and hazardous materials in your office. Keep that binder in a location where it can be grabbed quickly in case of emergency. Many things in our office are flammable or explosive and need to be marked and noted as such. Their locations should be noted in your HAZCOM program, something a bought-over-the-internet plan can't possibly have. 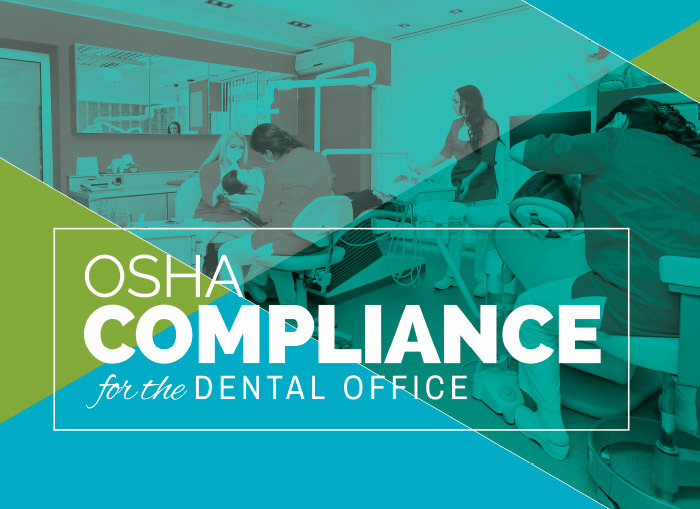 OSHA Compliance seems like an unachievable goal, but with the right help, research and a little bit of work, it is something that is attainable and required by every dental office in the country. I always tell our seminar attendees and clients that OSHA is not here to try and take advantage of you, or to take your hard earned money. OSHA serves a very important purpose in our country. It protects our most valuable resource, our staff. We can order more amalgam spills, rebuild offices, replace equipment and make more money. When you have a team that you and your patients love, you owe it to them, and yourself, to do everything that you can to keep them safe and healthy. OSHA makes that happen. We should be thanking them, not dreading their arrival. Follow the rules, play nice and make workplace safety a priority in your office.